In honor of Cow Appreciation Day (July 14), you can embarrass yourself for a chicken sandwich. Chick-fil-A, the chicken-sandwich chain recently declared “The Official Chicken Chain of Jesus” by FOX News host Todd Starnes, wants to give back to its loyal customers—while simultaneously honoring cows. Today, July 14th, is Cow Appreciation Day, which means customers who arrive to Chick-fil-A “fully dressed from head to toe in cow attire” will get an entree, side, and a drink for free. 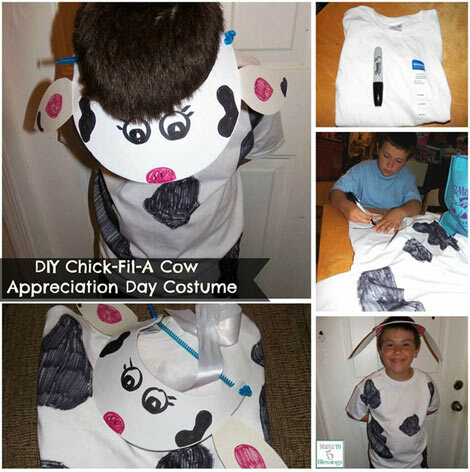 According to the Chick-fil-A website, “Customers who arrive with ‘partial cow attire’ will receive one free entrée. ‘Partial cow attire’ means just a cow accessory, such as a cow-printed hat, vest, or purse. Decision is at the discretion of the restaurant operator.” Good to know. So literally all you have to do right now is: raid your company’s office supply cabinet, paint some white dots on your hat or purse, and then roll up to Chick-fil-A and get free lunch. What’s that you’re saying about “dignity” and being an “adult”? It’s free food, yo. 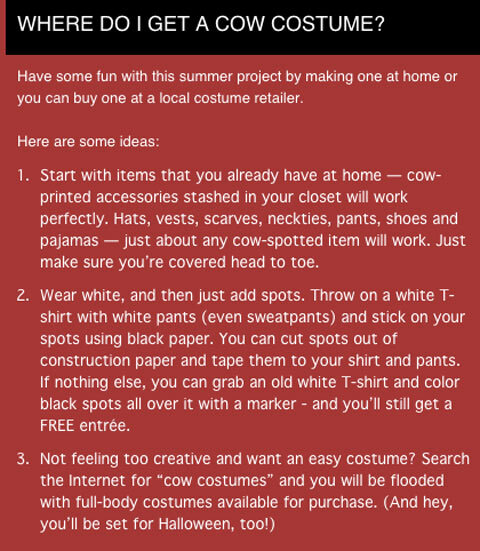 Here’s some helpful tips for dressing like a cow, via the Chick-fil-A website. And if you want to learn how to make a DIY cow hat, head here.